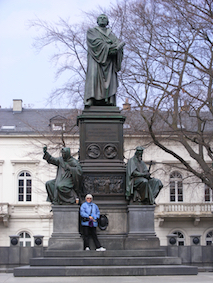 Expressions of interest are now open for the 2020 Mary Andrews College Reformation Study Tour (CH245) unit is a wonderful opportunity to see Church History come to life as we travel through Germany and Switzerland. Get a taste of what medieval beliefs and culture were like, and an understanding of why the reformers saw the need to bring change to the church and to people’s knowledge of God and salvation. Experience the churches, houses, castles and towns where reformers like Martin Luther, Ulrich Zwingli and John Calvin grew in their grasp of the gospel, taught, preached and translated the Bible. Explore the lives of the humanist Erasmus, and lesser known reformers, like Oeclampadius, Martin Bucer and Philip Melanchthon. Visit amazing museums with displays from the times that deepen our understanding of the birth of the Protestant faith. Come and be inspired! Expressions of interest for this Diploma level study tour unit are now open. Auditing students (i.e. 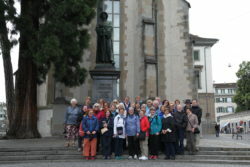 no assessments) are also welcome on this study tour. The closing date for ‘expressions of interest’ is 15 May 2019 at 5pm. Click here for more information and to register your expression of interest.